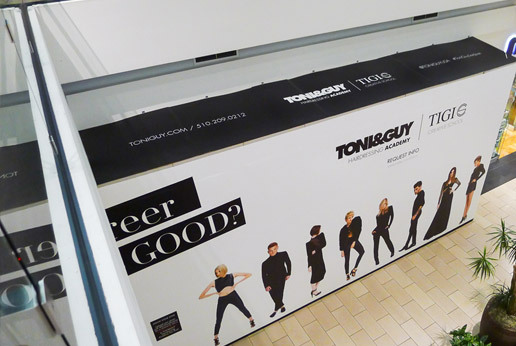 Toni & Guy Hairdressing are a UK based chain with salons worldwide. 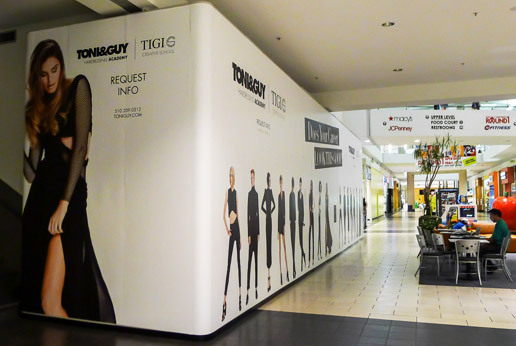 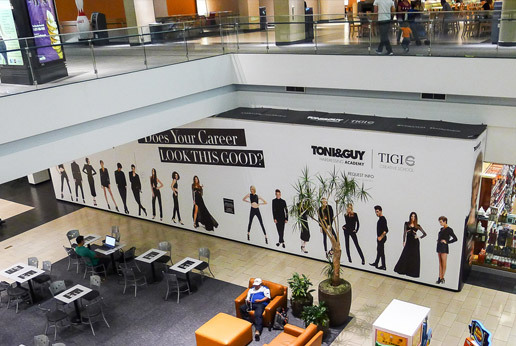 AGRetail worked with the latest Toni & Guy franchise due to open soon in San Jose, California to project manage, print and install this impressive looking retail barricade. 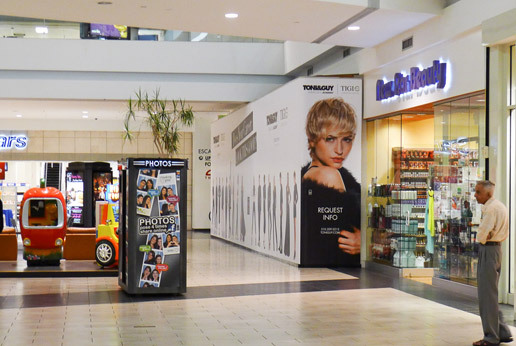 The barricade graphics were printed in-house by AGRetail on our superwide printer onto flexible wall graphic vinyl.